Don't Feel Like Reading ? Here Is A Quick Summary Of Our Black and Decker Cordless Drill Review. This Black and Decker Cordless Drill has a powerful motor powered by a 20V max. battery, an 11-position clutch feature and a keyless chuck design. The B & D drill comes with a carrying bag and 66 hand tools and accessories. This LDX120PK model is ideal for DIY and small home improvement projects. Cordless drills are becoming increasingly more an essential tool for any homeowner. They are high-end power tools when applied right; they can get work done in no time around your home or even in your workplace, when there’s an emergency situation with your supply of electricity for example. A cordless drill provides you the expediency of handling drilling work deprived of further delay during your off-site jobs. They’re dependable and highly inventive tools which use batteries that makes them incredibly useful for all sorts of drilling tasks. However, there are so many cordless drills on the market today from brands like Bosch drills and Porter-Cable cordless drills amongst others, so choosing the best one that meets your needs can be overwhelming. Especially for beginners who don’t know anything about cordless drills and the factors to consider before making an informed decision. So, to make it much easier for you, we wrote this Black and Decker cordless drill review for you. Before we get into the details in our Black and Decker LDX120PK review, we want to tell you a little bit more about the Black & Decker company. Black & Decker has been making power tools since 1910, and they have been continuously updating their devices and improving the use of their cordless tools. Well, it all started in Baltimore, and ever since then, Black and Decker has become known as the world’s most famous, most reliable, and one of the best quality branded drill and driver manufacturers. Overall, Black & Decker is the most famous brand of choice when it comes to the product range and affordable pricing for your cordless drill. 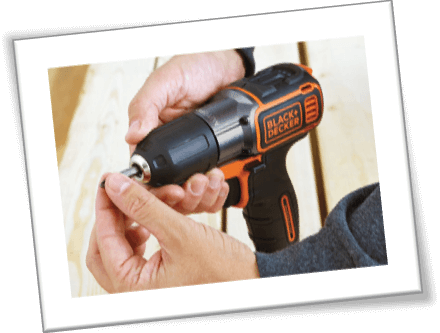 All their types of drills sell pretty well, and they all get high reviews, and the Black and Decker LDX120PK is no exception. The impressive part about the Black and Decker range of cordless drills is that they are of excellent quality at an affordable price. In this article, we will be discussing the BLACK and DECKER LDX120PK in a comprehensive review – it’s one of the most-popular and top-performing cordless drills that should always be taken into consideration. The Black and Decker LDX120PK power tool is capable of being merely that kind of machine for all types of home projects. In fact, it’s even good enough to be used by professionals who want a Black and Decker cordless drill which they can rely on. This basic drill kit comprises of all the essential tools that you want when it comes to repairing anything. And it is packed with a 20-volt lithium drill which offers an added level of control with the 11-position grasp which counteracts the stripping and overdriving of the screws. Dependably, the Lithium-Ion battery stays set and is known for holding a charge for quite a long time, 18 months to be precise. And yes, this is entirely true. Without further ado, let’s find out more information regarding the main features the Black and Decker LDX120PK has to offer. We will also point out the pros and cons of this cordless drill. The Black and Decker LDX120PK is one of the best and most-performing cordless drills available today. It comes with everything you need for your home chores. The kit comes included with 66 hand-tools and accessories and a carrying bag. One of the most impressive things that you will like about this power drill is that the device is preferably compact. It features an item weight of 9.6 pounds and product dimensions of 19.5 x 3.6 x 13.6-inches. It comes finished in the typical Black and Decker orange color which makes it more attractive when drilling or driving – hence making a great addition to your toolbox. It's compact and lightweight design of this drill enables you to carry out your drilling jobs swiftly even when working in tight and confined spaces. Its ergonomic design allows you to have a better grip when undertaking your tasks. Apart from its lightweight design offering greater control, it will enable the power tool to be used for an extended period without the weight becoming an issue. The batteries of this device are placed under the handle, which ensures straightforwardness of the machine when drilling. Moreover, the drill features the best grip comfort in your work. A comfortable grip helps you do your work smoothly and more accurately. Furthermore, its rubbery grip enables robust handling and reduces the chances of falling. Cordless drills are typically blessed with Lithium-Ion batteries which makes it incredibly easy to carry the drill with you anywhere, and the Black & Decker LDX120PK is no exception. This powerful drill runs off a 20-volt Li-On battery –capable of holding the charge for up to eighteen months depending on how you will be using it. It doesn’t matter how many times you use the device; it will always provide you the best and efficient results as if you have just used it for the very first time. Also, it comes with a handy charger. The impressive thing about Black and Decker batteries is that you can use them with other power drills in their range. This 20v max drill driver features a high-performance motor, capable of producing an operating speed to 0 – 650 RPM within seconds. We cannot say this power tool is the most potent drill driver out there, but with 0-650 Rotations per minute, it still provides more than enough speed for the standard residential applications. This drill also has a 115 inches per pound torque, ideal for screwing and light drilling applications. 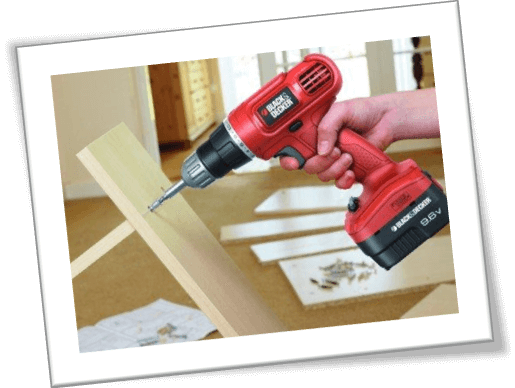 Moreover, when using the power drill, there are typically two common issues which come up. One, stripped screws make it somewhat challenging to remove them once inserted, and cannot be used later. Second, sometimes screws end up being overdriven into the surface, hence ruining the surface or even the item being screwed. This commonly happens on wooden surfaces, which in turn, may cause the wood splitting or cracking. And this is where the 11-position clutch feature comes in. This Black & Decker 20-volt cordless drill provides multiple clutch-using options. This power tool features 11 position clutch settings, to be precise – this feature is essential since it helps to prevent stripping and overdriving the screws. Also, it allows you to have greater control over the power drill and thereby prevents such issues from occurring. The 3/8-inches keyless chuck design allows you to change the bits fast and easy. Another impressive thing is that this cordless drill tool features a variety of different kinds of drilling such as plywood drill, plastic drill, metal drill, wood drill, and more. Furthermore, this kit comes equipped with 66 hand tools and accessories – all of which are intended to make your work easy. This power tool has everything you need to conduct your drilling project more efficiently. Moreover, this kit features a carrying bag for easy portability and storage. One thing you will discover on most cordless drills is a LED work light – it’s a helpful feature. It viably lights up your working range in those tight or dim spaces where you want to drill. This may appear like an unnecessary element to some people, but if you have to drill in awkward areas where light is rare, such as under the office desk or cupboard, overheads, and other tight spots; this LED light can be the most beneficial element of the drill. As anticipated from a reputed manufacturer like Black and Decker, this product is of high quality. And to show its confidence in the quality, Black & Decker provides a generous two-year limited warranty. 20V MAX powerful motor with 0-650 RPM. Comprises powerful lithium-ion battery which can last for days/weeks. Compact and lightweight design for easy maneuverability. It comes with a carrying bag for secure storage and portability. Easy to switch out and to tighten. Features over 66 hand tools and accessories. Ideal for DIY home engineering. The drill could be more powerful. Takes a long time to be fully charged due to its high power drill applications. Doesn’t have the compartments which help keep the drill bits separated. At the time of writing, this product was the Amazon Choice drill set. And it has received many positive reviews from the majority of customers who have used it. Additionally, it has received 4.3 out of 5 stars, which makes it a must-have tool to use. You should be aware that it’s regarded as the best cordless drill kit which comes in its small size, although it is proven to be more powerful and handier. Even if you have small hands, you can hold the power drill smoothly and efficiently. 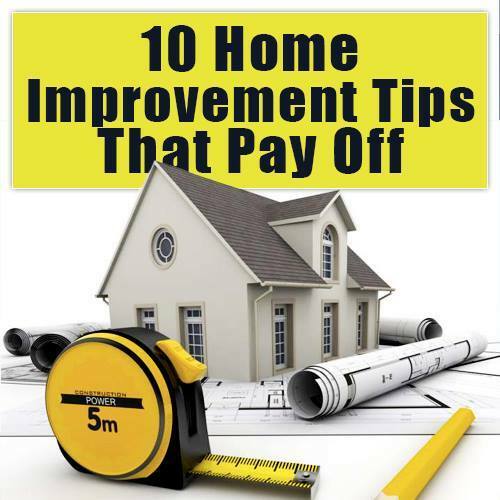 You will never get tired of using this product in your home projects. Still not sure if you should buy the Black and Decker cordless drill? Maybe check out our cordless drill buying guide or compare the best cordless drills on this page, hope this helps you make an informed decision.